Not surprisingly, one of the first things you might learn in conversation with Carolyn and Jim Bellinson is their love of outdoor activities – especially hiking in the mountains. “There are 53 mountains 14,000-feet high in Colorado, and we aim to climb them all,” says Jim. You can believe him: A handsome, physically active couple in their prime, the Bellinsons are likely to fulfill that goal. If you know the restaurant scene in Detroit, chances are that you know Carolyn and Jim for their hospitality, good taste and casual style – as reflected in some of the most popular eateries in town. Among his partnerships in several enterprises, Jim is co-founder of Peas and Carrots Hospitality, the holding company that owns and manages Social Kitchen & Bar, MEX, Beau’s Grillery, the new Comos in Ferndale and Gus’s World Famous Fried Chicken franchise. In his career, Jim has partnered in numerous ventures. In 2015, Jim co-founded Riverstone Growth Partners, a private equity group. Also, in that year, Jim and Carolyn co-founded Brilliant Detroit, a non-profit that has become the focus of much of their community work. At 58, Jim has been active with Federation for nearly 30 years. Currently, he serves on Federation’s Executive Committee, as well as on the Boards of The Jewish Fund and Level One Bancorp. Additionally, he is a past member of the boards of Yad Ezra, Jewish Apartments (now Jewish Senior Life) and Jewish Community Relations Council (now JCRC/AJC.) A graduate of the University of Michigan with B.A. in Economics, Jim earned his Juris Doctorate degree from the University of San Diego, College of Law, and is a bar-certified attorney in the State of Michigan. Now in the second year of her term as HFL President, Carolyn (51) also serves on the Federation board. Carolyn is a past board member of Yad Ezra and a participant of Federation’s Sherman Campaign Leadership Program and the Grosfeld Mission to Poland/Israel (G8), Carolyn served as Chair of the Grosfeld Mission (G11) in 2013. An active member of Federation’s Israel and Overseas Committee/Mission Lab, Carolyn is also a Fellow in the prestigious Wexner Heritage Program for Jewish Learning and Leadership. A graduate of U. of M. in Political Science, Carolyn earned her J.D. at Wayne State University. Married 23 years, residents of Bloomfield Hills, Jim and Carolyn are the parents of Cooper (21) who attends Vanderbilt University, and twins (19) Dara (Colorado College) and Nick (Vanderbilt University). Jim: I was born in 1960 and grew up in the Birmingham Schools. My parents – both Jewish – essentially assimilated into a neighborhood where there were no Jews living at the time. So, I grew up with Christmas trees and lights on the house. My parents divorced when I was 12; we then moved to Southfield; it wasn’t until junior high that I had Jewish friends for the first time. In contrast, Carolyn has this amazing story growing up. She and her family were the beneficiaries of almost every Jewish agency partner of Federation – each one a great story. Carolyn: I grew up in Oak Park – in a typical Jewish migration from the city. My dad left the family when I was very young, leaving my mom with three kids to raise and no financial means to do so. But she was resourceful and turned to the Jewish community where she received counseling and services from JFS, vocational services from JVS, entrée into the job market and help in returning to school to get her Master’s degree in Psychology. Eventually she got a job at Borman Hall. My brothers and I all spent our childhood summers at Tamarack Camps – only through the generosity of the community via donations to Federation– a tremendous gift. We all had a Hebrew education and celebrated our B’nai Mitzvot, again through the generosity of the Jewish community. My brother and I both got Hebrew Free Loans which helped us finance our education at U. of M.
J: When you look at Carolyn’s family’s struggle in crisis mode, and what the family has produced, it’s remarkable: Carolyn is a lawyer, her brother is a doctor, her other brother is a teacher. C: We were very representative of what the Jewish community still provides for families in crisis today. [My family was] very representative of what the Jewish community still provides for families in crisis today. J: My mother followed a similar path, got her Master’s in Guidance Counseling. I went to Southfield High for a year, then moved back with my father to Bloomfield Hills, graduated from Andover in 1978, went to Michigan, then law school in San Diego. I started a seal coating/asphalt repair company while in law school, finished law school, had a paving company for a year, then came back to Michigan. Who do you count among your mentors? J: My father was a huge influence – a great business man with a unique ability to read people and understand them really well. I think I got some of that from him. Ed Levy (C.E.O. of the Edw. C. Levy Company) has been a great friend and mentor, and Harold Blumenstein – though we haven’t spent a lot of time together – has given me some advice that has changed my life in business. C: My mentors are Jim, my mother and Terri Farber. I would say that Terri changed the trajectory of my life when she invited me to join Federation’s Sherman Leadership Mission. That was the first moment in my life when I felt like I could possibly be a leader in the community. Just having somebody see that potential in me changed the way I saw myself. 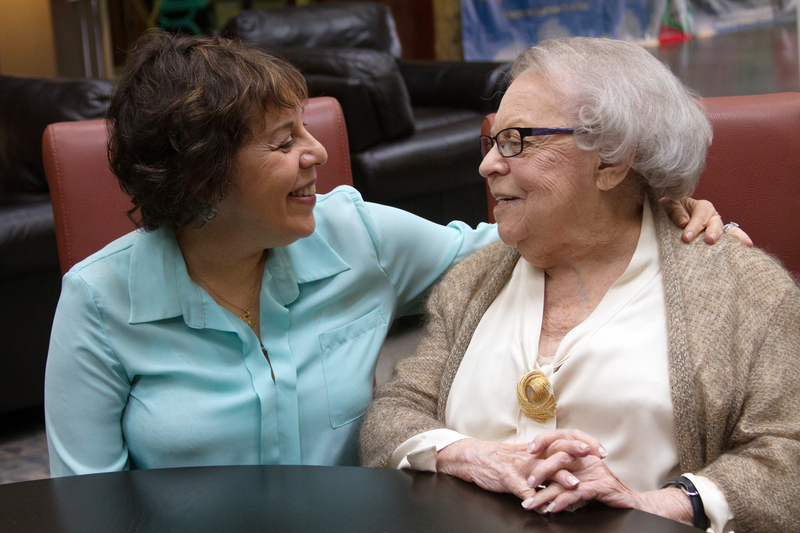 J: Many of the relationships that I have made have come through the Jewish community. My partner in business is Scott Segal, who I met through AIPAC. He has been a huge factor in the growth of Riverstone – a business which has enabled us to do so much more for the community. What drew you to the work of the Jewish Federation? J: I had no direct connection to the Jewish community until I moved back to Detroit after law school. But in my junior year of high school, David Victor and I became best friends. His mom, Arlene Victor, was an amazing activist whom I really admired. David was very involved in the Jewish community and with AIPAC, and got me to go to Israel. I got on the Federation’s Young Adult Division (YAD) Board when I came back and have been active ever since. It was David who got me involved in Israel advocacy and community relations with AIPAC and JCRC/AJC. How has your career path influenced or enhanced your communal work? J: I have this life balance thing that I try to live by: its focus is family first, then business, then community, then self. I believe you need balance in those four things or something big would be missing in life. Obviously, doing communal work is a part of that. I find that success in communal work is about running a business, developing relationships, finding what or who the drivers are for different goals and solving problems. It’s all completely intertwined. I have this life balance thing that I try to live by: its focus is family, business, community, then self. Our family has taken on this balance too. All three of our children have been on the Jewish Fund Teen Board. Our boys, Nick and Cooper, also have been very entrepreneurial. They started a parking lot striping business in high school; now they bought a bed rental company in Nashville that has doubled in size the first year. In your view, how has your role as a Jewish community leader grown over the years? C: I didn’t come into the communal leadership game until later in life. Once I started getting involved, it was the Grosfeld Mission that really piqued my interest — and awakened me not only to what Federation does locally, but what we do internationally. As a Jew, one of the things I am proudest to know about Israel, is that Israelis are oftentimes the first responders in a humanitarian crisis. That doesn’t make the news, but I love the Jewish value of helping our neighbors and taking care of the earth and it stirs my desire to help. When did you realize you wanted to start a non-profit? Why Brilliant Detroit? J: It’s not a Jewish thing, but for me, Brilliant Detroit comes from a place in the heart: We’re not going to live forever; if we can set up a system that’s going to sustain and grow and keep empowering people to change their lives — there’s nothing better than that. C: I do see a direct connection to the Jewish lens. As it is written in the Torah, we’re the people who are supposed to make the world better, not just for Jews, but for everyone. When I was in Israel for the very first time with the Grosfeld Mission – we went to the partnership region to see a program called PACT – Parents and Children Together, a program designed by the Detroit Federation and generously funded by Penny and Harold Blumenstein. Working with our partnership folks in the area, PACT helped young immigrant Ethiopian mothers learn how to interact with their children in an urban society. They had come from an agrarian society, where infants spent much of their time on their mothers’ backs while they were working. As a result, their babies were missing major developmental milestones and the skills needed to succeed in Israeli schools and eventually, the army. The program proved to be a huge success, so much so that the Israeli government now funds the program. And I thought, wow! We could really use this in our city. That was a formative moment and, here, five years later, we’ve put it together in Brilliant Detroit. You’ve both jumped into the field of early childhood development – how did you start and what have you learned? J: I got involved through The Jewish Fund Board grant-making process where 80% of the funding goes toward Jewish organizations and 20% goes towards the health and welfare of Detroit. That 20% focuses on two things: better access to healthcare and early childhood development. I chaired the task force on early childhood development and once I dug into the studies, I realized early language development is the absolute answer to success in school and beyond. C: More than 80% of kids in Detroit are not ready to start kindergarten. And that start is the number one predictor whether you will graduate from high school. There are early childhood programs in Detroit, but fewer than 10% of the kids in Detroit have an early childhood education. J: We knew that we wanted to invest in a project that made sense for Detroit. We visited a $10 million investment in Los Angeles – a beautiful facility – and knew that one central facility would never cover the needs in Detroit. So, one day, on an ordinary morning run through my neighborhood, it struck me that there are a lot of empty houses in Detroit. I got excited about the idea of putting those vacant homes to work as learning centers in neighborhoods where they were needed. So, I called Cindy Eggleton, our consultant for the Jewish Fund on the project, and she loved the idea. To prove the concept, Carolyn and I funded the project ourselves for the first two years, starting with a house we purchased three and a half years ago in the Cody Rouge neighborhood. C: We funded it ourselves because we didn’t want ask other people for money until we were sure Brilliant Detroit was going to work. Cindy has since taken over as Brilliant Detroit Director, and it’s been growing like crazy. We now have 80 partners – nonprofits, health and education organizations, foundations, corporate and private funders – all feeding resources and programming into six houses. J: We offer prenatal care – we have parenting programs before the baby is born to teach parents how the brain works and develops. We have “reading in the belly” programs, teaching how language learning starts even before the baby is born. C: We have a program – high dosage tutoring — where kids come to our houses twice a week after school, and we have volunteers who commit to two hours twice a week to work individually with the child. That has turned around the way kids are viewing their education. We also offer Raising a Reader, a national program that promotes a daily reading practice and helps kids (and oftentimes, their caretakers) develop a love of reading. J: We don’t yet have the cumulative measurements of what these little houses with the brilliant orange doors are doing. (Painting the doors orange, by the way, was Dan Gilbert’s branding idea- though he claims the idea was ours.) But, I firmly believe that the secret sauce in what we’re doing is the fact that we go into neighborhoods where we are invited. We don’t tell communities what we think they need. We listen and learn what they want. To date, we have six houses open, a seventh house under reconstruction, an eighth neighborhood identified, with 12 more invitations from neighborhoods where we don’t yet have homes. 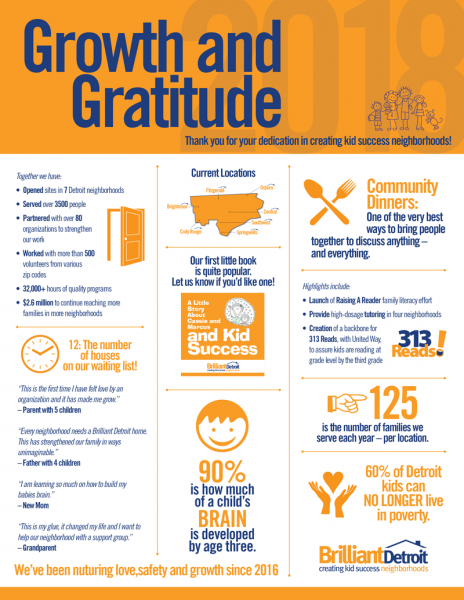 C: Over the past year, Brilliant Detroit has served 4,000 people in 32,000 hours of programming. And we give Cindy all the credit for how well our programs run. Brilliant Detroit would not work as well as it does without her marketing and fundraising skills and her contacts all over the city. So, what’s next for Brilliant Detroit? J: We know how to scale Brilliant Detroit. Now, we need more capital. We raised $2.6 million in 2018 through private donations and some foundations. We need to get to $5 million, that’s our next goal. C: We also need more multi-year commitments, corporate donors and volunteers, like Roz Blanck – a great supporter and donor. Roz and her husband, Stan, along with their son, Adam, have supplied each of our homes free Wallside Windows. As you might imagine, given the generosity of our community, a lot of our funding comes from Jewish friends and supporters. Restaurants: J: Beau’s, a regular, anytime. 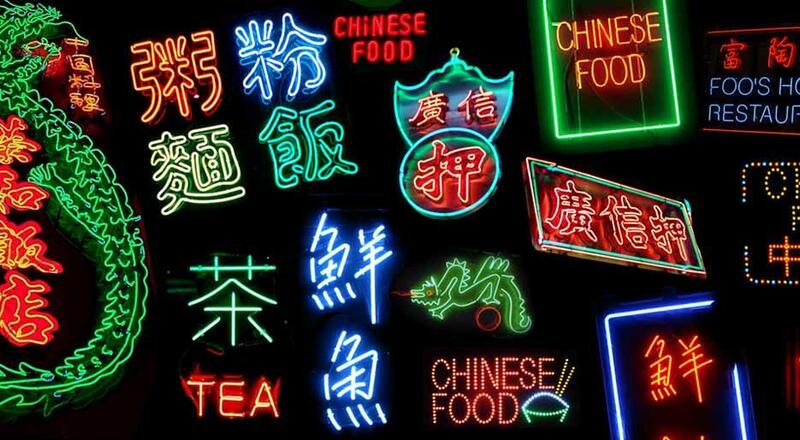 C: For great evening out, Selden Standard, Mabel Grey or Takoi in Corktown. Place to take kids/ visitors: There are canals off of the Detroit River where you can go kayaking through these neighborhoods. Vacation places: Colorado! We love the mountains. And we love the beaches of Michigan. Sports: J: I work out every day, run five miles three days a week and practice yoga four days a week. C: Favorite sports? Cross-Fit and Yoga (and anything my kids will join in with me). Jewish Food: J: Soft bagel with cream cheese, onion and tomato. I eat gluten only once a year, to break the fast. C: Kugel, sweet. Guilty pleasures: C: Social’s French Fries! J: Dark chocolate covered almonds. C: Listening to Becoming Michele Obama and reading The Overstory, by Richard Powers. J: Just read Educated: A Memoir, by Tara Westover. Reading The Short Tragic Life of Robert Peace, by Jeff Hobbs, and listening to The Billion Dollar Whale: The Man Who Fooled Wall Street, Hollywood and the World, by Tom Wright. J: Have fun and make the world better. C: If not me, who? 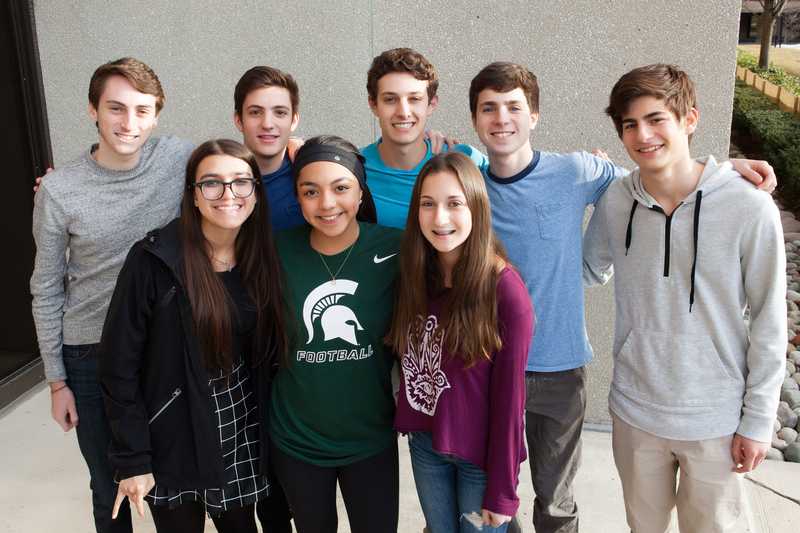 Detroit Hosts the 2014 JCC Maccabi Games & ArtsFest.